This low dose sublingual form is excellent for those who want rapid onset of action, where the problem is difficulty falling asleep. It may be repeated upon middle of night awakening, if there is difficulty with again falling asleep. Its rapid absorption & onset of action make it less likely to give a "hang over" effect the following day (which some people may feel from melatonin usage.) 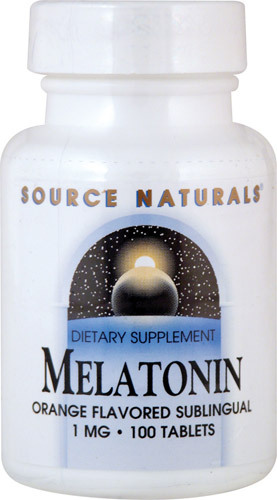 This product is also easily halved or quartered for those desiring very small amounts of melatonin. It has a pleasant tasting orange flavor. 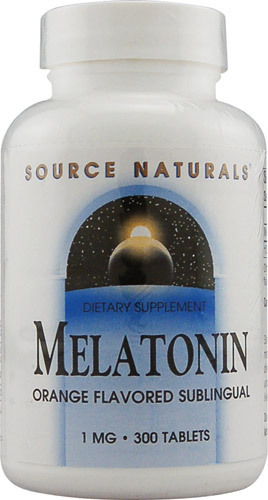 The later at night melatonin is used the more likely is a hangover to result. 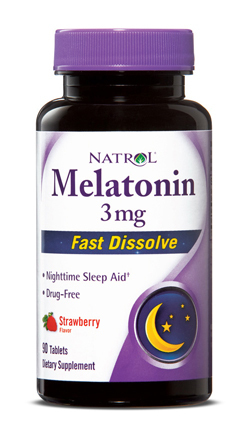 DIRECTIONS: 1 to 3 tablets at bedtime. Do not take more than 5 tablets daily unless recommended by your physician. Place tablet under the tongue and allow to dissolve slowly, altering the position of the tablet to avoid prolonged contact with the same area. Free Of Yeast, diary, egg, gluten, soy, wheat, sugar, starch, salt, preservatives, artificial color, flavor and fragrance.